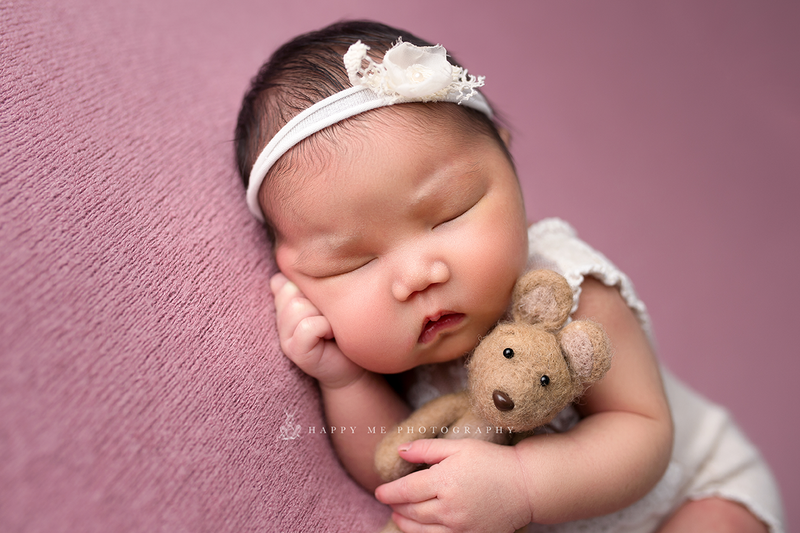 Kristy was looking for a newborn session San Francisco Bay Area when she found me on Google. 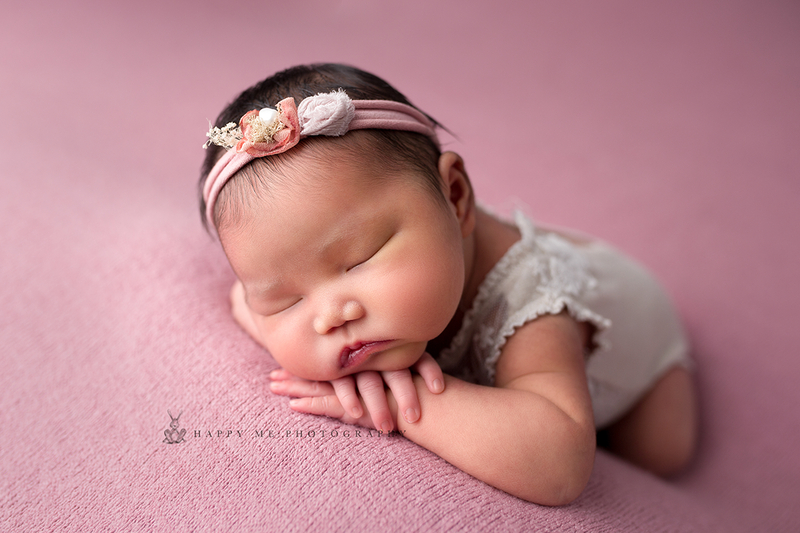 I recently had the pleasure of having seven-day old Kaia visit me in my studio from San Francisco. 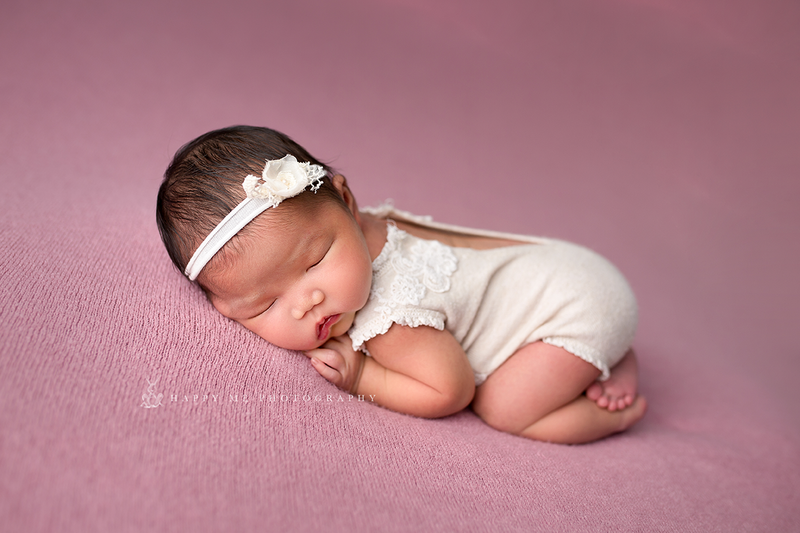 She slept during her entire newborn session, and looked so peaceful and relaxed in all of her pictures! Kaia had the most adorable headbands that matched all of the props, she is quite the fashionista. 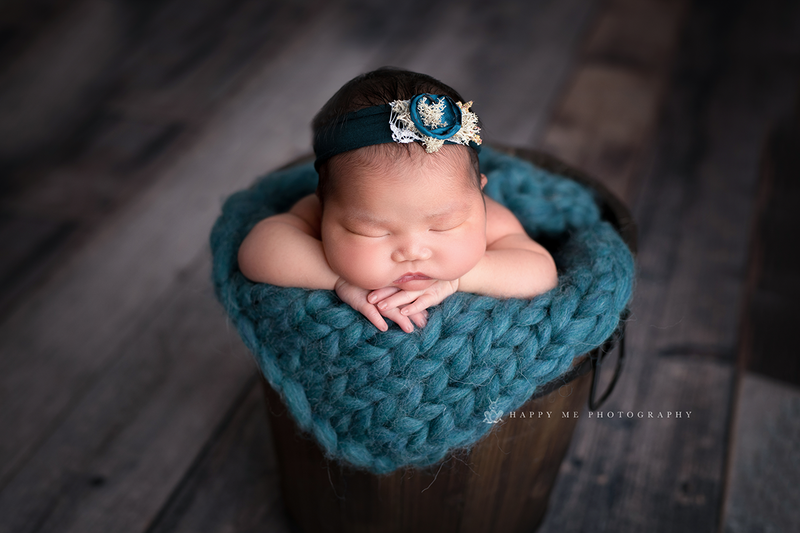 Kaia started off her photoshoot inside a bucket where she had a dainty turquoise headband that matched the knitted afghan she was resting on. Her cute little face fit perfectly on her delicate folded hands. Because She slept during her entire photoshoot, I was able to capture her in some great poses! 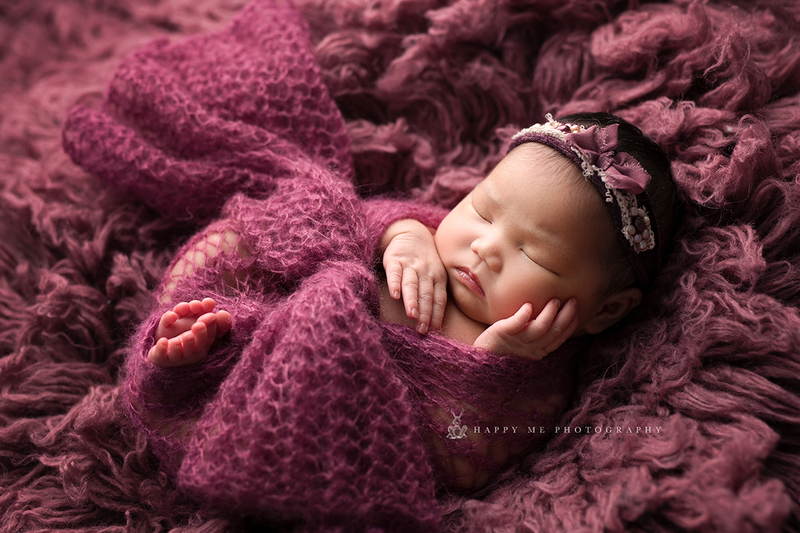 Kaia was scrunched up on her belly, with her arms and legs tucked under her. She looked like a little angel in her white outfit. I was able to get a charming picture of her on a wooden bed with flowers wrapped around it. Kaia’s mom Kristy, dad Wilson, and big brother joined us for some pictures as well. Her brother looked so proud to be her big brother! He sweetly kissed her head in one of the poses. He is definitely going to be protective of his little sister. In another picture he gently cradled her head with one hand and rested his other hand on her chest, just enough to let little Kaia know he was there snuggling her. Kristy and Wilson each got an individual shot with Kaia as well. Kristy and Wilson were dressed in black, so Kaia really stood out in the pictures. Kristy cuddled Kaia’s head so close to hers, while Wilson’s adoring look said it all. In a few of the pictures, Kaia snuggled with a little stuffed animal. It was just the perfect size for her little hands to wrap around it. I am looking forward to working with this beautiful family again soon! 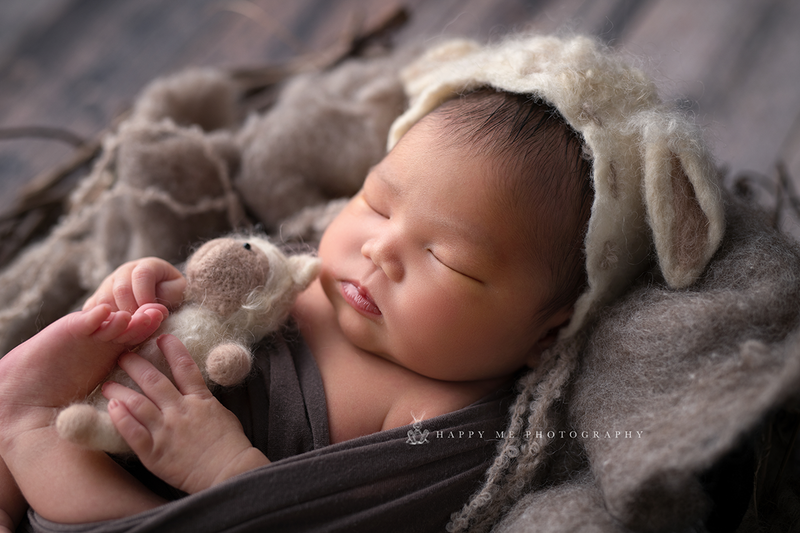 If you are looking for a newborn session San Francisco Bay Area and like to schedule your newborn shoot or if you have any further questions, please email me at nieshkaphoto@gmail.com or call me at 415-269-6669.